So I was picking up a couple more sale patterns today (I know, I am bad! But also, I passed big scary exam, so I will conveniently ignore this problem for today, so, lalala can’t hear you), when I found some nice remnant fabric that just needs to be made into a coat. Sadly, there is barely a yard and a half, so some perfect pattern picking or strategic fabric usage must be put into play. 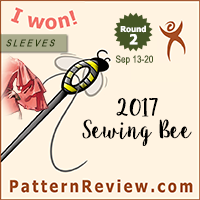 While I was adding my new patterns to my virtual catalog (see my previous post), I got to pondering which pattern I should use with my new fabric. 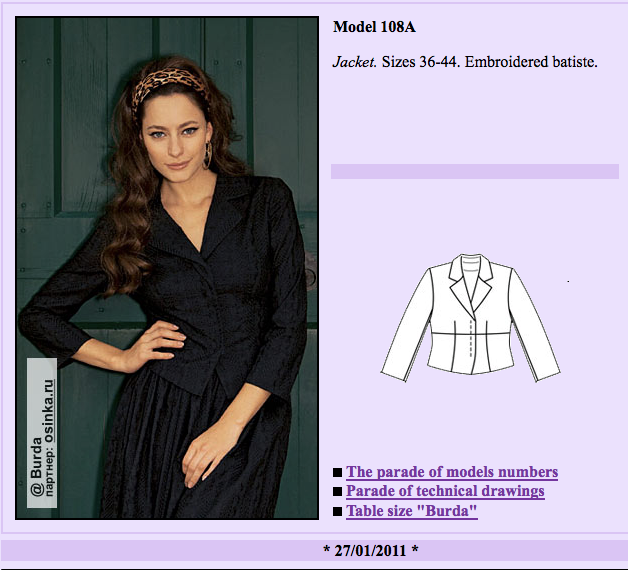 I love having the virtual catalog, because I can scroll through patterns and think about what might suit the fabric, and, actually, I found a pattern (from one of the Burda Style magazines) that would be perfect for my new fabric. It was a style I wasn’t originally planning on making, but now I am rather enamored with the idea. Originally I didn’t care for this pattern, but now I really want to make one! This, of course, led me to ponder: do I usually choose fabrics first, or patterns? When I started sewing, I used the same Kwik Sew for all of my skating costumes. 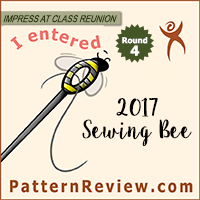 I already had a large stash of stretch material, but most of my plans are original designs, and I modify the Kwik Sew pattern as needed for each costume. With the skating costumes, the fabric nearly always comes first. I usually see something in the store and get a flash of an idea of what it should become. I buy it and think about it, and sketch it out for a time, before I actually make it up. Or the fabric is simply too fabulous to leave, and I buy it and use it when I think of a design and go stash busting. Since it is a skating costume, I usually know how much I need to get (1 yard for a practice dress or a dance dress, 3 yards for a figure dress, since I like sleeves and I have super long arms) so I usually don’t have a problem of running out of fabric. When I started sewing non-skating things, I always got a pattern first, then bought fabric and notions, and whatever else. But, as does happen, my stash grew faster than I could sew things up, so now I do have quite a bit of fabric waiting to get made. Some of this fabric has a definite plan – I know exactly what pattern I want to use, and how I want it to look, and have even thought about design changes. Some of it there is a vague plan – I know I want pants, but there are 2-3 patterns I am trying to choose between. And some of it…. I have no idea. It was either purchased and ended up not working, or I bought too much and have enough to make something else, or it was a great deal I simply couldn’t pass up ($4/yard silk anyone?). Then there is the other side of it. I have been stocking up on patterns. And again, there are some that I purchased with a specific fabric in mind (some of today’s shirt patterns were purchased with specific fabrics in mind), but some are just patterns I would like to have as an option but don’t have specific plans for as of yet, and some I don’t know if I would ever have need to make, but I want the option if the opportunity rolls around. So I guess, for me, it just depends. Sometimes I have a pattern I love, but I have to look for the right fabric. Sometimes I love the fabric and need to find a pattern. With the coat I am working on for the wedding, I had a style and a color in mind, and I had to look for both the fabric and the pattern to make what I wanted. So I guess I don’t really have a set process. It just depends on what I have, what I want, and when I can find things to get from one to the other. I know some people have much (much much) larger stashes than I do, and they simply shop in their closet when they want to make something (I am not there yet; I don’t usually stock buttons, zippers, interfacing or the like. Probably after pattern satiation that will be the next area of concern. I have recently started using Gutterman thread; the machine seems to like it better than Coats&Clark, so stocking up on color options might be fun in the future…). I also know some people pick a pattern, then simply waltz over to their fabulous collection of fabric stores and pick up exactly what they need. While that might be a more fun way to live (clutter free and always an excuse to go fabric shopping), I just don’t think it is practical for many of us who don’t live very close to great fabric stores. Now, I know I have it a lot better than many people (since I do have non-JoAnn’s options in the area, although no more Hancock’s), but so often the fabric I love is gone the next time I go to the store. I have so many fabrics that I am so excited to sew up eventually (especially for the skating… I have not found a lot of great fabric lately, which is why having the stash is amazing) that dealing with the storage is totally worth it. So I guess I wonder… How do most of you sewists out there plan your projects? Does the fabric speak to you? Or do you have to hunt it down to service you fabulous pattern? Do you start with chickens or eggs?